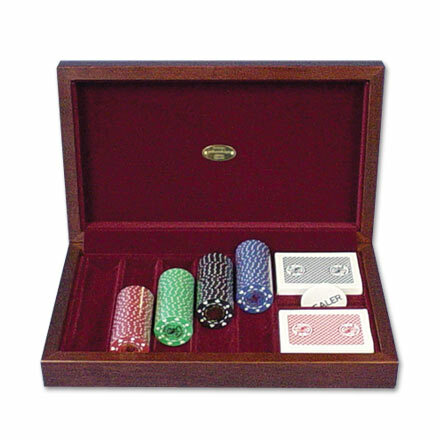 Poker Box | Custom wood boxes and cases. Made in the USA. Our Card and Game case is for anyone who is a fan of the classic movie, "The Sting." Solid cherry construction, with velvet-lined and thoughtfully detailed storage compartments, showcase an attention to detail seldom seen anymore. A classic, just like the movie. Made in the USA.